A piece of many angles - The Line ring takes inspiration from the repeat patterns of the art deco era. Some might even say it looks like step pyramids! 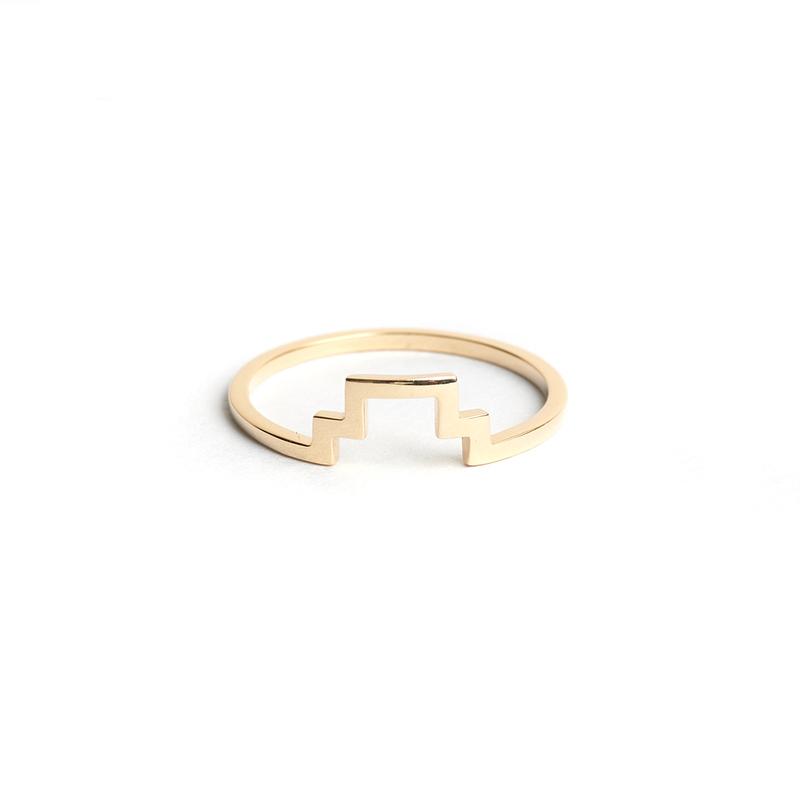 The Line ring is the ultimate addition to your stacking ring collection. Dress it up or down, the choice is yours. Whilst the designs of The Straits Finery are minimalist, simple and easy to wear, they also have an element of excitement to them. Their design principle: ‘We pare it down, so you can build it up’ is their belief in the freedom to style jewellery to one's own taste and aesthetic. Founded in 2015 by Amira and Chern, The Straits Finery was created to provide jewellery that looks good and feels good. They make high quality jewellery that can be passed down, they’ve set their sights on creating pieces that are personal and sentimental. The Straits Finery is famed for its minimalist approach to fine jewellery made in precious metals of 14-karat solid gold and sterling silver. They’ve also designed their jewellery in a way to give the wearer the freedom to go maximalist or minimalist as they please by adding or removing different accessories.